100% cotton liner with latex coated gloves protect hands from tough work and the coated area is waterproof, and provides comfortable wear of hand and wrist preventing sliding down. 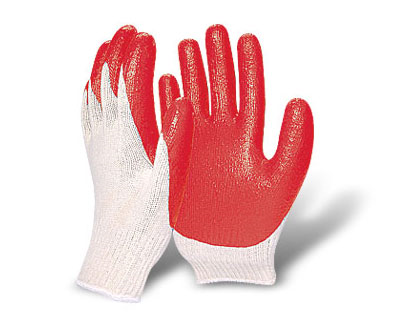 These gloves are an excellent choice for construction, engineering work, heavy industry, forestry, etc. Waterproof with coating The continuous cuf provides additional protection plus a secure hold on the wrist.